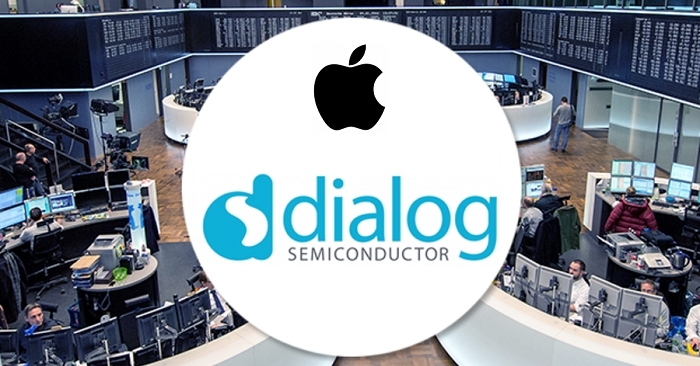 Dialog Semiconductor & Apple Inc have signed an agreement for the licensing of Dialog’s power management technologies and also transfer of certain assets and over 300 employees to Apple. The move is aimed at supporting Apples’ chip research and development process. The transaction is expected to be completed in the first half of 2019, subject to applicable regulatory approvals and other customary closing conditions. Apple will pay $300 million in cash for the transaction and prepay $300 million for Dialog products to be delivered over the next three years. The employees who are being transferred have worked closely with Apple for many years, and this transition will foster deeper collaboration between the two companies. Dialog also announced that it has been awarded a broad range of new contracts from Apple for the development and supply of power management, audio subsystem, charging and other mixed-signal integrated circuits. Revenue from the new contracts is expected to be realized starting in 2019 and accelerating in 2020 and 2021. Dialog plans to accelerate its transformation to become a market-leading provider of differentiated custom and configurable mixed-signal ICs across a broader customer base in fast-growing segments of the IoT, Mobile, Automotive and Computing & Storage markets. Dialog’s power conversion, connectivity, configurable mixed-signal, audio and charging ICs address markets that are expected to grow at a 13% CAGR to reach $13 billion by 2021. The company will continue to deliver PMICs to other customers globally. Apple will employ more than 300 Dialog engineers and other employees already supporting Apple chip development, representing approximately 16% of Dialog’s total workforce. The iPhone manufacturer will assume certain Dialog facilities in Livorno (Italy), Swindon (U.K.), Nabern and Neuaubing (Germany). Following the agreement, Dialog updated its revenue outlook for the period 2018 to 2022. The company expects the combined revenue for its Advanced Mixed Signal, Connectivity and Automotive & Industrial business segments, estimated to be approximately $400 million in 2018, to grow at a CAGR of 10-15% from 2018 to 2022. Upon completion of the transaction, revenue from the new contracts and other ongoing Apple business is expected to increase from an estimated 2018 base of approximately $150 million at a CAGR of 30-35% over the next four years while the revenue associated with the licensing agreement – estimated to be approximately $875 million in 2018 – will begin to decline in the second half of 2019 and phase out by 2022. As a result of this transaction, Dialog expects no significant impact to gross margin. Upon closing, the transaction is expected to result in operating expense reduction of approximately $35 million on an annualized basis. The company intends to initiate a share buyback program of up to 10% of its outstanding shares following its Q3 trading update. Qatalyst Partners is acting as financial advisor, and Linklaters is acting as legal counsel to Dialog in relation to the transaction.